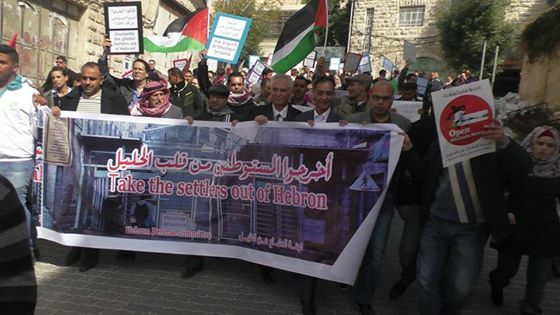 On 20th February 2016, the Hebron Defence Committee, the Human Rights Defenders Group and other popular struggle committees organised a demonstration under the motto ‘Dismantle the Ghetto, take the settlers out of Hebron’ in occupied al-Khalil (Hebron). 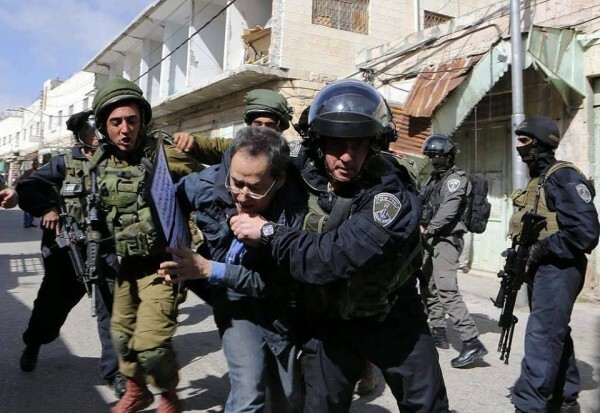 Israeli forces attacked the peaceful demonstration with stun grenades and arrested several activists. The demonstration started after the noon-prayer at Ali Bakr mosque and peacefully marched towards the entrance to Shuhada Street in the Palestinian market, chanting against occupation and for their freedom. Once the peaceful march reached Bab al-Baladiyya in the Old City of al-Khalil, Israeli forces quickly started gathering behind the gates that lead directly onto Shuhada Street – that has been closed off for Palestinians since the Ibrahimi Mosque massacre in 1994. As the Palestinian, Israeli and international activists joined hands in trying to take down the military gate that locks off the access to Shuhada Street for Palestinians, allowing exclusive use for settlers from the illegal settlements only, the Israeli forces suddenly attacked the protestors throwing more than a dozen stun grenades at the crowd of people. While the demonstrators were running for cover, trying to avoid being hit by the stun grenades, the Israeli forces unlocked the military gate and came running into the Palestinian market. Israeli forces arrested a total of 12 activists from Hithabrut – Tarabut group and moved them to the Police station for interrogation. While 8 where released, 4 were charged with attacking officers. As can be seen on this following video, Israeli forces attacked several protestors, beating them and threw stun grenades directly at the press – that was visible wearing flag-jackets and helmets reading ‘press’. 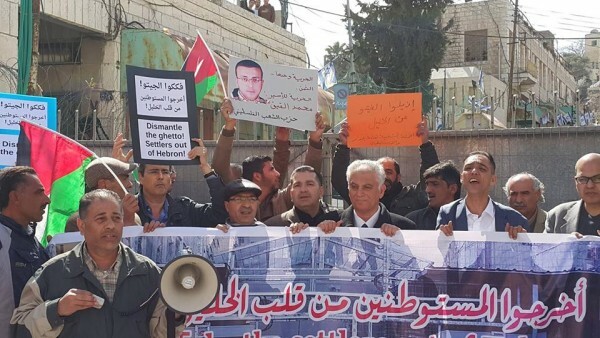 The demonstration was held in commemoration of the 1994 Ibrahimi Mosque massacre, in which extremist settler Baruch Goldstein murdered 29 Palestinians and injured more than 120 when he opened fire on whorshippers inside the Ibrahimi mosque.